Here at FELT FORMA we are hand making customized wool shoes and felted slippers in all sizes for Women, Men and Kids - Exclusively for You. All we need is your Foot measurements - The length of your foot. 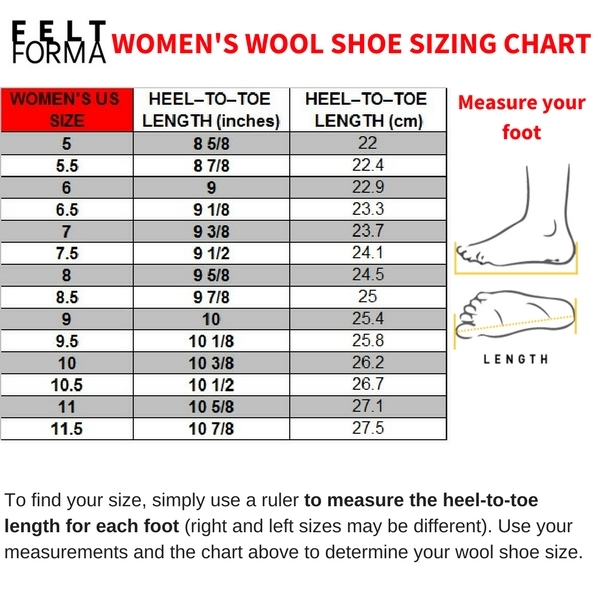 It is particularly important to measure your foot length if you really want a well-fitted wool shoes, felted slippers, wool boots. Please also keep in mind that different manufacturers use different lasts to construct their shoes, and sizing may vary accordingly. 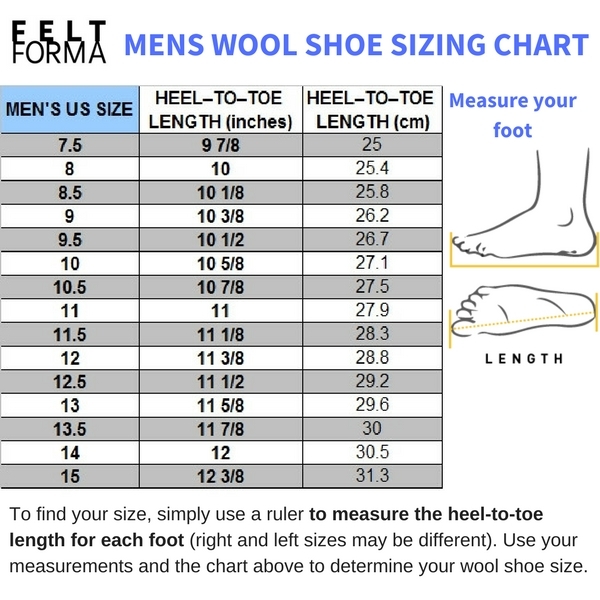 Felt FELT FORMA wool shoes, wool boots and felted slippers are hand-made in any size according OUR Size Charts: Women's size chart, Men's size chart and Kid's size chart. You will find the sizing table with each product. You can measure the insole of your favorite house shoes in order to find your correct size. Don't be shy, if you have questions, just contact FELT FORMA. We are here to help you, as we want you receive the amazing handmade wool shoes.